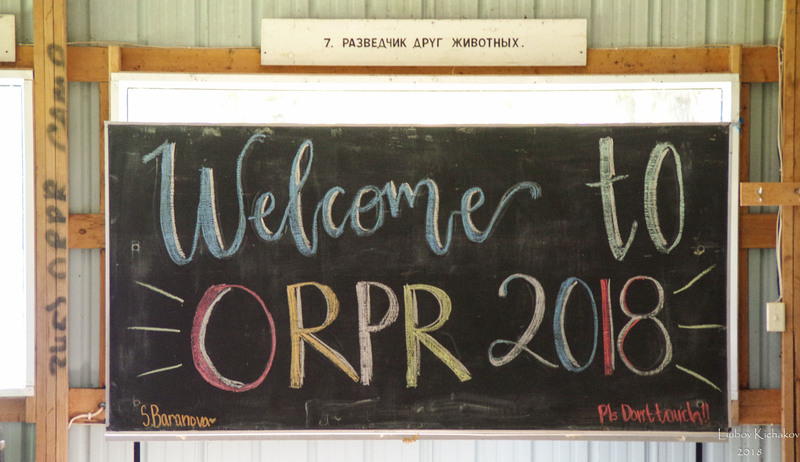 On Saturday, July 7, ORPR Camp successfully opened its fifty-eighth consecutive summer session, named in honor of the Holy Royal Martyrs. 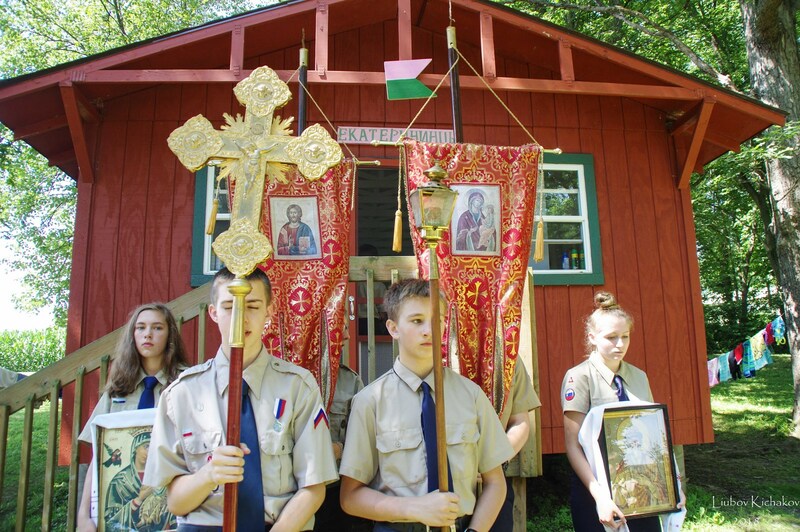 We will commemorate the hundreth anniversary of their martyrdom with a Vigil on Monday, 7/16 and Divine Liturgy on Tuesday 7/17. 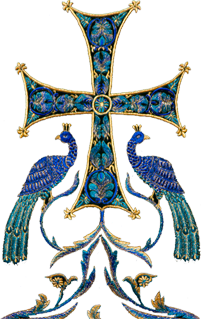 Law of God lessons taught by our resident priests will focus on how to apply the pious example of the Royal Martyrs both in leadership and in our family lives. 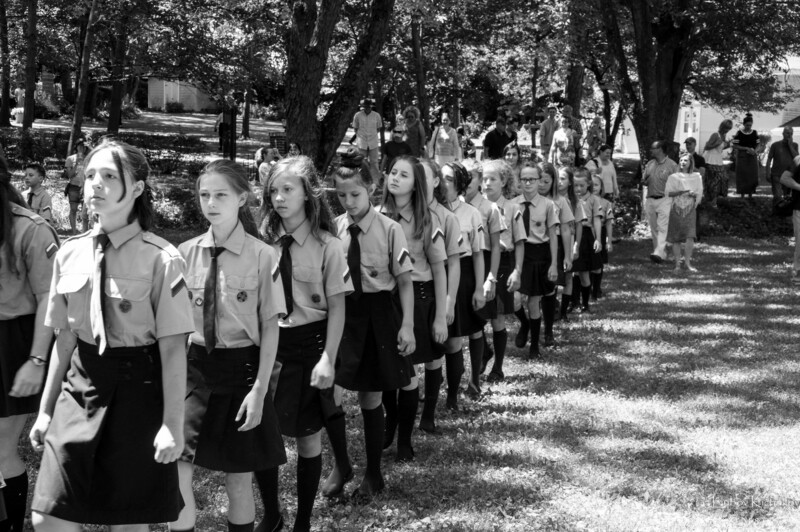 This year, we are pleased to have 35 girls and 28 boys join us at Vladimirovo for the four week session. 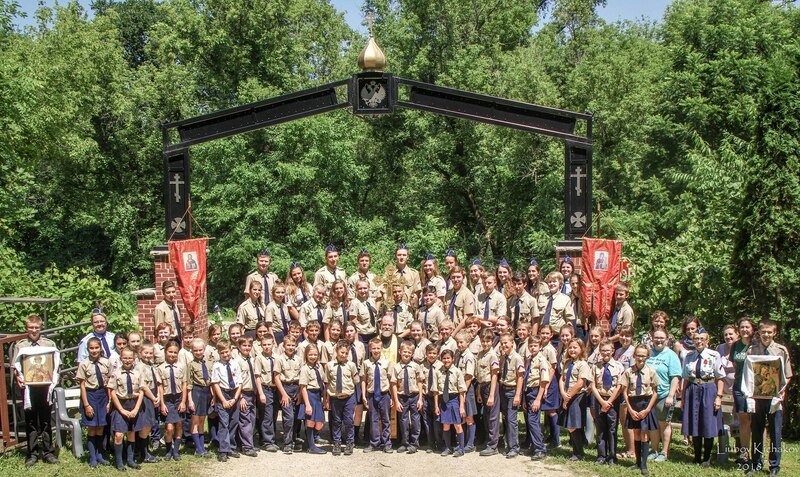 Our staff of counselors and volunteers numbers almost 20. 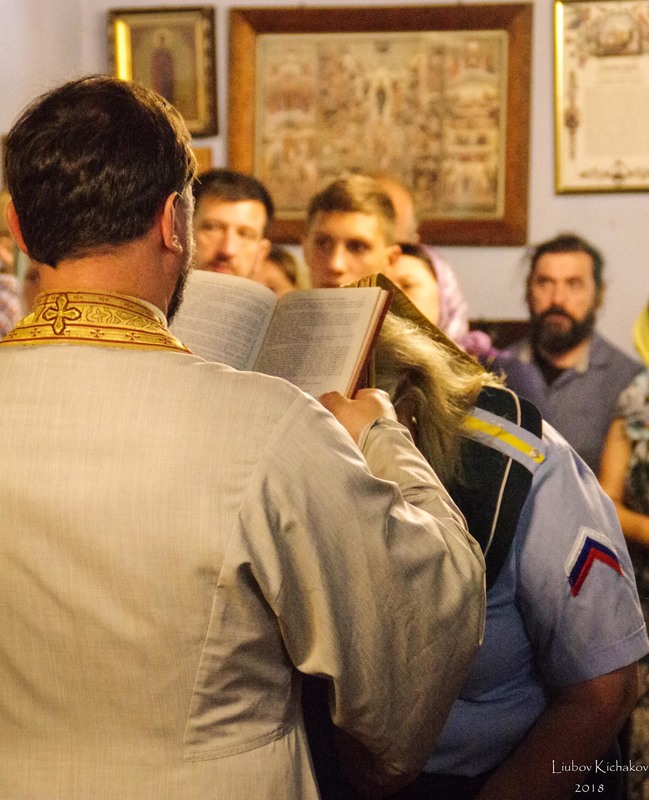 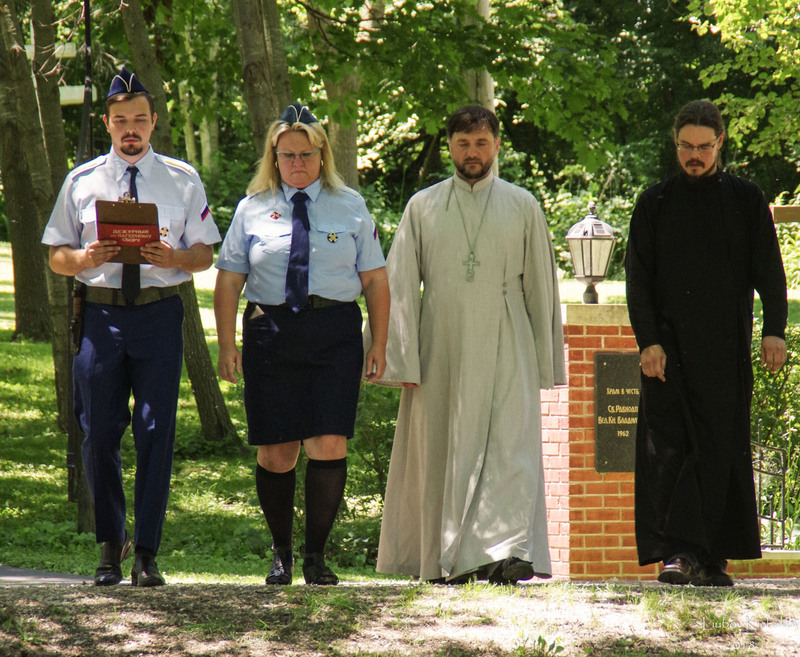 The traditional Opening Ceremony began with a moleben served by Priest Leontiy Naidzions, who was appointed earlier this year by His Eminence, Archbishop Peter, to be the spiritual father of ORPR. 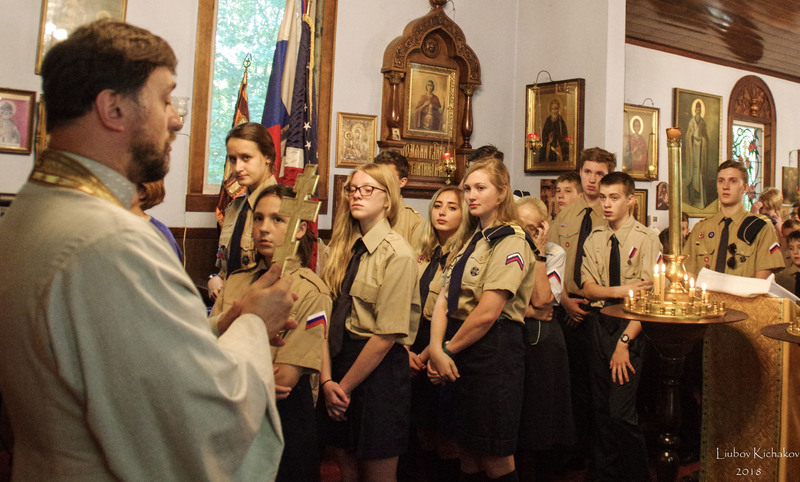 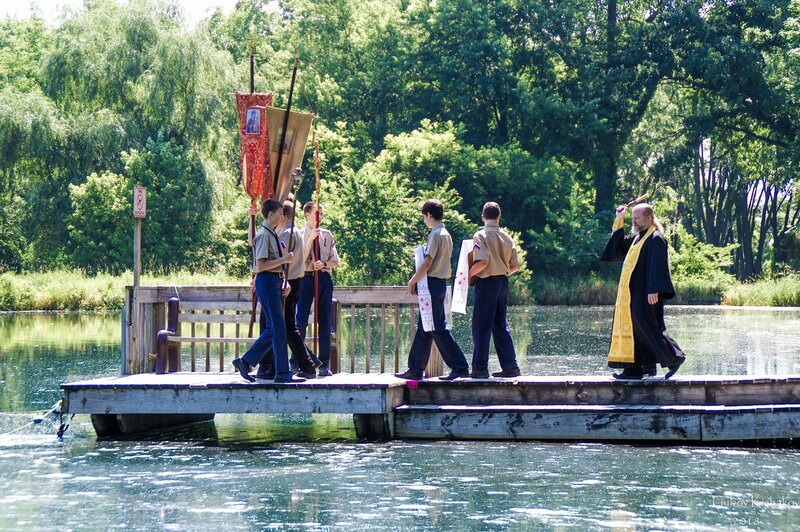 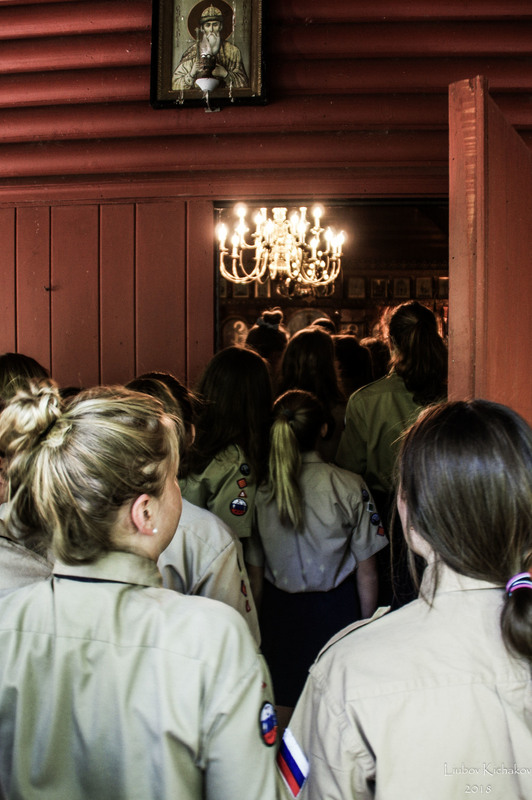 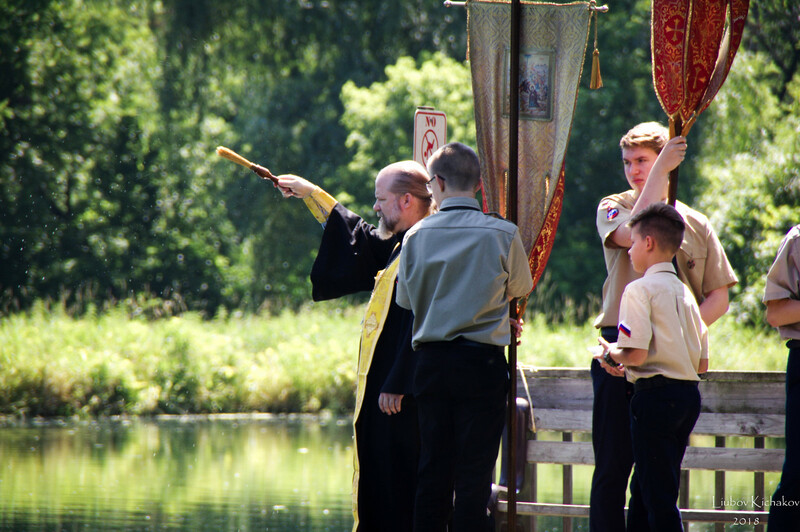 After the prayer service, all of the campers, dressed smartly in their uniforms, marched in formation to the flagpoles. 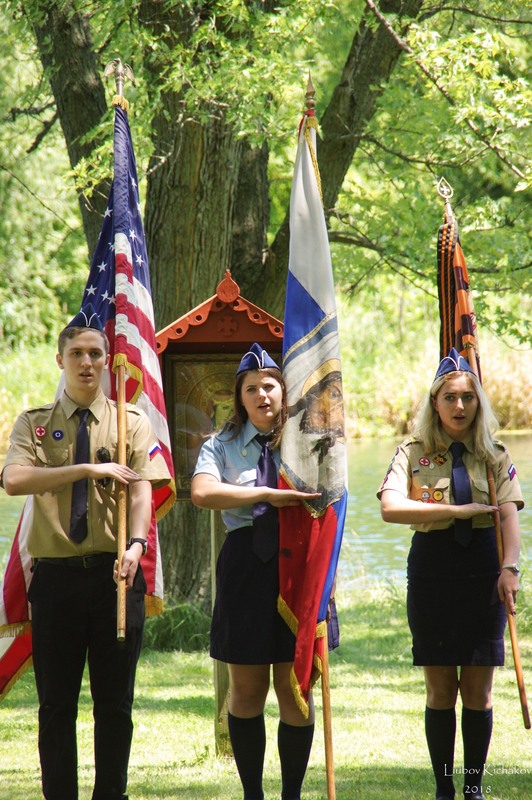 The Russian and American flags were raised simultaneously while the campers sang a specially-adapted version of the Preobrazhenskiy March. 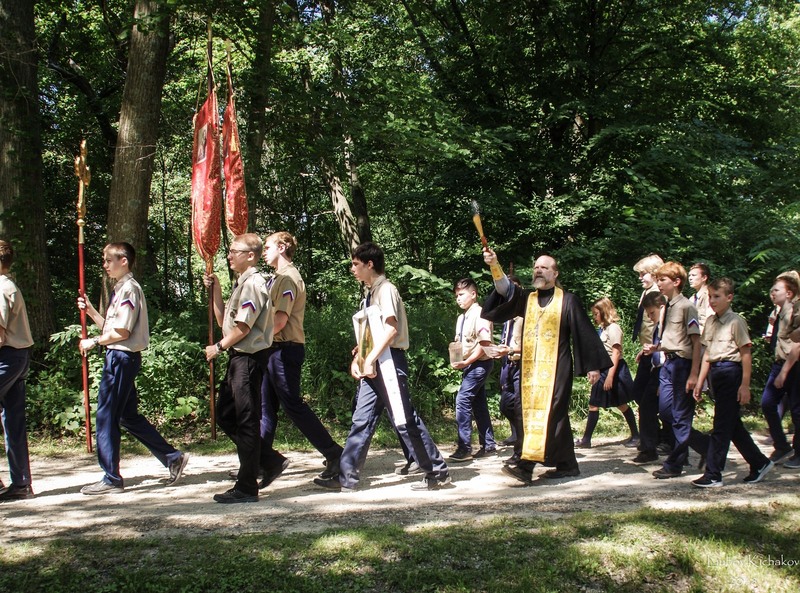 Archbishop Peter's opening instructions included a heartfelt thank you to the parents, volunteers and the Cathedral Brotherhood, all of whom helped to prepare the grounds and facilities at Vladimirovo for the summer camp session. 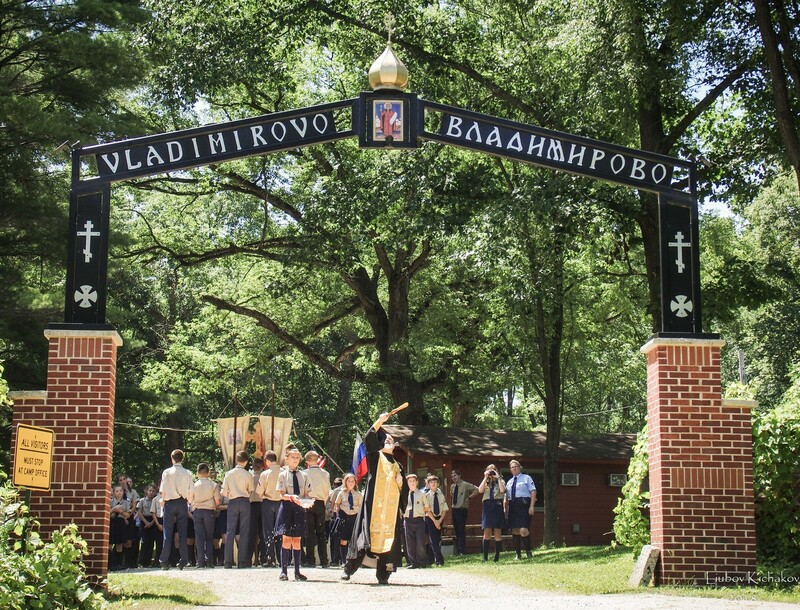 We welcome everyone to join us on our Patronal Feast for the Service to St. Vladimir on Saturday, July 28, and for the Parents Weekend/Vladimirovo Festival on Sunday, July 29.